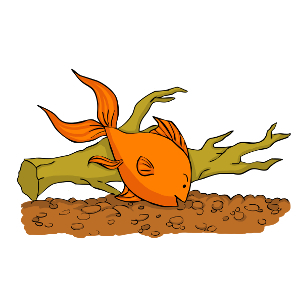 Fish pox, also sometimes known as carp pox, most commonly affects domestically kept koi carp. However, goldfish and many other species of fish are also prone to contracting the condition, particularly if they are kept together with koi carp in ponds. Fish pox is caused by a viral strain of herpes, called HPV-1, which affects the skin and scales of the fish. The most common route of transmission is sharing a tank or pond with other affected fish, where the condition can soon infect a great many of the fish present. It is not known precisely how the virus passes from fish to fish, or why some fish within a mixed tank may develop the condition, but others not. What are the symptoms of fish pox? Fish pox causes a light pink, white or grayish waxy-looking growth on the scales and fins, which is most recognizable due to its tendency to disappear on its own and then reappear again at a later time. 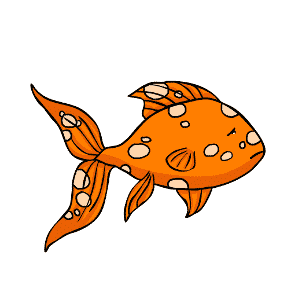 During the initial stages of infection, fish pox appears as milky-looking skin lesions, which are slightly raised and appear smooth. As well as making the affected fish look sick, long term exposure to the virus can lower the fish’s natural immunity, making them more susceptible to developing other conditions. As the condition progresses, it can also lead to skin lesions, which are particularly prone to developing secondary bacterial infections. 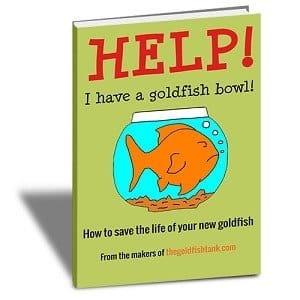 Unfortunately, there is no known cure for fish pox in goldfish, and attempts to treat the condition by common means such as adding an anti-parasitic to the water or bathing the fish in a salt solution have proven to be ineffective. In some cases, the condition will go away on its own; however, the virus does not fully go away, but instead remains dormant and may flare up again another time. There is no way to fully eradicate the virus from affected fish, and any time that the condition flares up, they run the risk of infecting other fish within the tank. Quarantining the affected fish promptly is vital to ensure the ongoing health of the other fish. 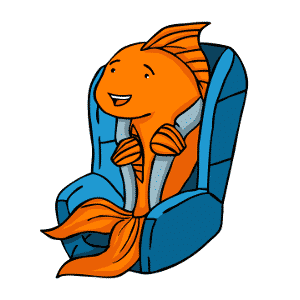 Once quarantined, it is not advisable to reintroduce the fish back into the main tank, even if they appear to have recovered. Of course this means that you will either have to run a quarantine tank for the duration of the affected fish’s life, or cull infected fish to prevent infecting the rest of their tank mates.